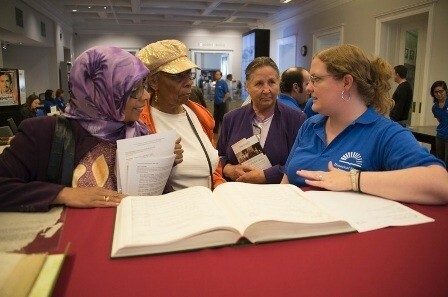 Don't miss out on a great chance to improve your genealogy skills at one of the Mid-Atlantic's largest genealogy events. 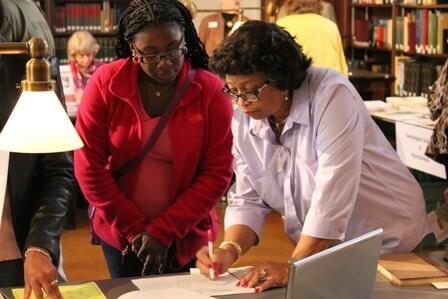 March 18th and 19th are Family History Days at the Historical Society of Pennsylvania (HSP). Professional genealogists from around the world will be giving fascinating presentations and hosting can't-miss workshops that will take your research to the next level. Whether you want to learn about DNA, identifying old photos, cutting-edge research techniques, or Pennsylvania genealogy tips, there will be a workshop for you. Make sure to see the full schedule so you can plan accordingly! This is a fantastic opportunity for a beginner - if you're wondering where to start, you'll leave this two day event with some amazing new skills and a plan for action. Expert researchers will also find this event impossible to miss - some of the preeminent minds in genealogy will be there and available to learn from and interact with. Maureen Taylor: The Photo Detective, an internationally recognized expert on historic photograph identification, photo preservation, and family history research. James Beidler: author of The Family Tree German Genealogy Guide and "Roots & Branches" columnist. Blaine Bettinger: founder of The Genetic Genealogist and author of I Have the Results of My Genetic Genealogy Test, Now What? Sandra Hewlett: Certified Genealogist®, professional genealogist and and current board member of the Historical Society of Pennsylvania. Purchase tickets or visit the Historical Society of Pennsylvania on the web for more details.